Samsung Electronics on Thursday promoted a total of 221 executives with 99 of them coming from its lucrative chip business in a follow-up appointment of key executives earlier this month. By rank, the 221 executives include 27 executive vice presidents, 60 senior vice presidents, 118 vice presidents, one fellow and 15 masters. By unit, the money-making chip business accounted for 45 percent of total promotions with 99 executives promoted. “The promotion of 99 executives reaffirmed the firm’s personnel principles thoroughly based on performance. Within the chip unit, more than 50 percent of promotions came from the research and development area that was the base for the latest record earnings,” said a Samsung spokesperson. In the July-September period, Samsung posted record profits mainly buoyed by strong chip performance. Samsung recorded an operating profit of 14.5 trillion won ($13 billion) during the quarter, with 70 percent of the profit coming from the chip unit. The tech firm also promoted nine foreign executives and seven female executives to make the organization more flexible and diverse. The nine foreign executives include senior vice presidents, James Elliott, Dermot Ryan, Hadrian Baumann and Dipesh Shah. Elliott was credited with the record memory earnings through strategic client management and communications in the Americas. Ryan has contributed to expanding into new markets including memory, LSI chips and sensors in Europe. Baumann, who supervises the European region in the UK office helped to report solid sales in Poland and the UK. Shah led the development of Bixby voice recognition and S Voice as a software development expert at DMC research center in Bangalore, according to Samsung. Early this month, Samsung appointed Tim Baxter to president of Samsung Electronics America. He was the first foreign executive who was promoted to the chief executive level. The female executives promoted include vice presidents Kim Seung-lee, Lee Geum-joo and Chung Hye-soon. Kim was credited with improving satisfaction from its US client in memory business, Lee improved the assembly performance of next-generation DRAM and Chung led to the differentiation of flagship smartphone features including S-pen styles and always-on display, Samsung said. Samsung said it will also soon carry out an organizational reshuffle. 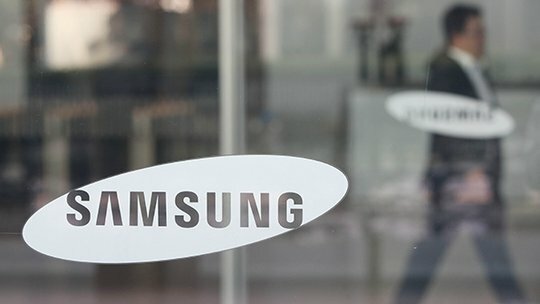 On Oct. 31, Samsung shook up its executive team, replacing all three of its co-chief executives in device solution unit, consumer electronics unit and information technology & mobile communications unit. The reshuffle of key executives followed early this month. On Wednesday, Samsung released its quarterly report also showing that five CEOs including Samsung Electronics’ head of communications Lee In-yong and Samsung Advanced Institute of Technology’s chief Chung Chil-hee stepped down from their posts.